Philadelphia: God opens doors for us that no one else can. This week we return to Touring the Churches with the church at Philadelphia from Revelation 3:7-13. Remember that these churches are meant to be representative of churches and church members in our lives today. The church at Philadelphia was one we should all strive to emulate. Jesus praised them and urged them to hold fast to their position until the day of His return. Jesus told them He had opened a door for them. 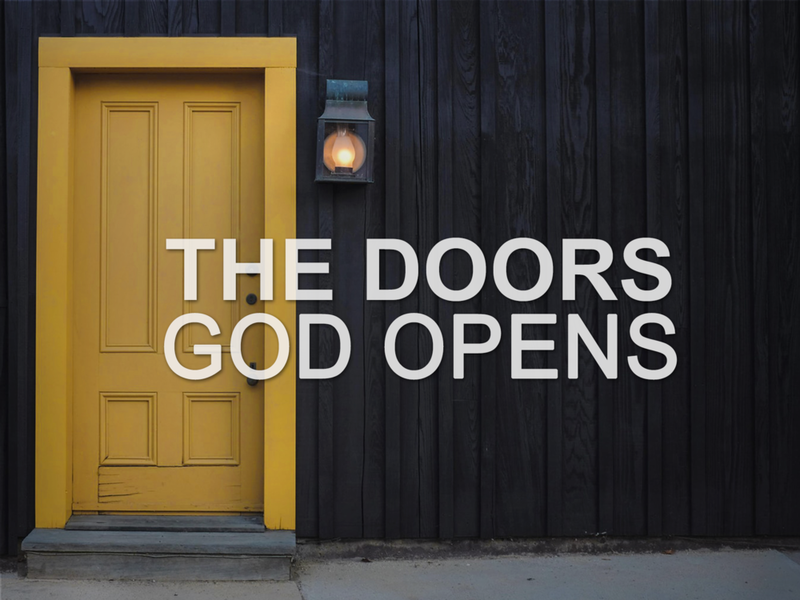 The doors God opens no one else can shut; it is up to us to walk through the doors He offers. The first door, the door of salvation, is left wide open for us and God wants us all to walk through it. Jesus opened that door for us. He is that door, although not all people believed Him in the first century and they still don't today. Jesus in opening the door is called holy as He was sent from God and as God, set apart from sinners and from other gods. Being holy tells us that He is the Almighty God and there is no other God than Him. He is also called true, meaning he is the authentic God. Not a copy, He is the original. Jesus also has the key of David, meaning He gives access to God. When Jesus described Himself to Philadelphia, He brought to mind Eliakim from Isaiah 22. This allusion served to indicate that Jesus controls who has access to everlasting life. Jesus is the only one who opens to door of salvation, and the only way to enter is through Him. We have a door-opening God.